The Boy Scouts of America is one of the nation's largest and most prominent values-based youth development organizations. The BSA provides a program for young people that builds character, trains them in the responsibilities of participating citizenship, and develops personal fitness. For over a century, the BSA has helped build the future leaders of this country by combining educational activities and lifelong values with fun. In every community, boys and girls are left to find their own recreation and companionship in the streets. An increasing number of children are at home with no adult care or supervision. Young people need to know that someone cares about them. Boys & Girls Clubs offer that and more. Club programs and services promote and enhance the development of boys and girls by instilling a sense of competence, usefulness, belonging and influence. Bridgeport Rescue Mission demonstrates the love of God to the hungry, homeless and addicted throughout coastal Fairfield County, 24 hours a day, 365 days a year. We serve men, women and children, fighting poverty from the inside out. They provide a place of hope and dignity, transforming lives through our yearlong New Life Discipleship Program by offering education, biblical counseling and client management services. Community Associations Institute’s mission is to inspire professionalism, effective leadership and responsible citizenship, ideals reflected in community associations that are preferred places to call home. CAI’s focus is providing education, research & information and legislative advocacy. Connecticut realtors is Connecticut's largest professional trade association, representing over 15,000 real estate professionals engaged in all aspects of the real estate business. Founded in 1920, the Connecticut realtors, Inc. is dedicated to enhancing the ability of its members to conduct their business successfully while maintaining the preservation of private property rights. 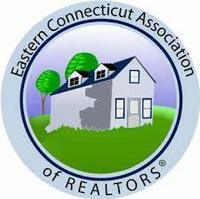 The Eastern Connecticut Association of Realtors provides services to over 1,000 of our Realtors and Affiliate members and other real estate related interests. We have jurisdictional responsibility for Realtors in approximately the eastern third of the state. ECAR's jurisdiction includes the Connecticut cities/towns of Ashford, Bozrah, Brooklyn, Canterbury, East Lyme, Eastford, Franklin, Griswold, Groton, Killingly, Ledyard, Lisbon, Montville, New London, North Stonington, Norwich, Plainfield, Preston, Pomfret, Putnam, Salem, Sprague, Sterling, Stonington, Thompson, Voluntown, Waterford, and Woodstock. Extreme Makeover: Home Edition is an American reality television series providing home improvements for less fortunate families and community schools. The show is hosted by former model, carpenter and veteran television personality Ty Pennington. The Greater Bridgeport Board of Realtors offers Education, Retail Sales, Professional Standards, General Board Services, Special Events, GFC-CMLS and Statewide-CTMLS Service Centers to all our members. 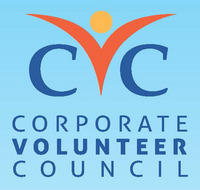 Founded in 1964, this dynamic, pro-active organization lives by its motto, “Advancing the Regional Agenda through Business Leadership.” The Greater Valley Chamber of Commerce represents the All-America City business community of Ansonia, Beacon Falls, Derby, Oxford, Seymour, Shelton and the surrounding area. The Chamber is currently comprised of approximately 600 members, which encompasses cross-section of our area’s businesses with representation from manufacturing, retail, service, bio-tech, and corporate businesses from home-based sole proprietors to large corporations with multiple branches. Junior Achievement's volunteer-delivered, kindergarten-12th grade programs foster work-readiness, entrepreneurship and financial literacy skills, and use experiential learning to inspire students to dream big and reach their potential. With the help of more than 213,000 volunteers, JA students develop the skills they need to experience the realities and opportunities of work and entrepreneurship in the 21st-century global marketplace. The long and proven history of the Milford Chamber shows its ability to service and support the business community. Since its inception in 1954, the Milford Chamber has been the primary business center for greater Milford and the region. The Northern Fairfield County Association of Realtors strives to provide its members with education, programs, services and resources that will enable them to conduct business successfully and professionally while promoting and enforcing ethical standards; to be the leading advocate of the local real estate industry, home ownership and other areas affecting the association’s membership; to enhance the Realtor image and the quality of life throughout the community and within the profession; and to promote through collective action the protection, preservation and enjoyment of real property rights. Ron has been the Home Improvement Editor for ABC Television's Good Morning America program since 1996. Ron reports regularly on a variety of topics related to home improvement, design, repair, health, and safety. It all began with a simple fundraising goal. The goal was to raise the most money for the Susan G. Komen 3 day walk in Boston, Massachusetts. This small goal turned into a community's outreach to FIGHT a horrific disease: breast cancer. In the fall of 2009, the small town of Seymour, located in South Central Connecticut, proclaimed a date in October as a SEYMOUR PINK DAY. The goal was to play off the name of our town and to SEE MORE PINK in hopes of raising awareness of this devastating disease. Spooner House is operated by Area Congregations Together, Inc. with the mission of providing food, shelter and support services to people in need. All of our energies are devoted to helping our clients establish a self-sufficient living situation. We recognize the dignity of our clients, we give them our respect and we deliver our services without proselytizing. The mission of TEAM, Inc. is to connect individuals and families with solutions that lead to well-being, self-sufficiency and full participation in the community. TEAM achieves its mission by conducting activities that focus on the needs of economically disadvantaged individuals and families residing in the Naugatuck-Housatonic Valley Region including resource mobilization, education, advocacy and service delivery. Waterbury Regional Chamber is the region's foremost business network, resource and advocate. The Chamber advocates the needs of the region's business community on major issues. It serves its membership through programs and services, which enhance and improve a favorable business environment within Greater Waterbury. 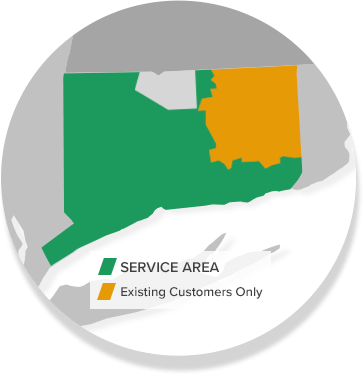 It currently serves approximately 1,000 members in Waterbury, Watertown, Oakville, Bethlehem, Thomaston, Woodbury, Middlebury, Southbury, Oxford, Beacon Falls, Naugatuck, Wolcott, Prospect, and Cheshire. 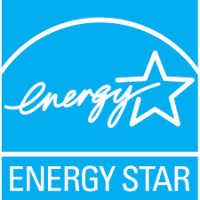 The experts at Total Basement Finishing strive to uphold the values of quality, responsibility, and integrity. Our staff, product and dealer network are all founded on our belief in these ideas. Valley United Way's mission is to improve lives by mobilizing the caring power of our community. Valley United Way will measurably improve the lives of people in our community through; raising dollars to invest in identified community priorities, inspiring people to make a difference by giving their time, working with others to build coalitions that leverage resources to address identified community priorities. The Young Emerging Professionals (YEP) of the Greater Valley Chamber of Commerce represent the interests of the region’s young professionals. YEP’s efforts concentrate on business and career development and networking, social and cultural involvement, and community activism with the goal of connecting young professionals to our community to ensure that the region is the premier place to live, work, and play. After all, they are the leaders of tomorrow. The mission of the Bridgeport Regional Business Council is to increase the economic opportunities for the people of the Bridgeport Region by acting to create an environment for business expansion, retention, and recruitment that will result in jobs and tax base growth. The Chamber of Commerce of Eastern Connecticut creates forward-thinking regional coalitions, builds a positive business climate to meet current and future needs of our members, supports balanced economic development and growth and actively works to strengthen our region as a great place to live, work and play. Bob Vila was hired as the host of This Old House in 1979 after receiving the "Heritage House of 1978" award by Better Homes and Gardens, for his restoration of a Victorian Italianate house in Newton, Massachusetts. On This Old House, Vila appeared with carpenter Norm Abram as they, and others, renovated houses. After leaving This Old House, Vila became a commercial spokesman for Sears, and beginning in 1990 he hosted Bob Vila's Home Again, a weekly-syndicated home improvement program. Vila has written ten books, including a five-book series titled Bob Vila's Guide to Historic Homes of America. As of 2006, he still appears regularly on television. He can also be seen on the Home Shopping Network, selling a range of tools under his own brand. Caregiver Media Group is a leading provider of information, support and guidance for family and professional caregivers. Founded in 1995, they produce Today's Caregiver magazine, the first national magazine dedicated to caregivers, the "Fearless Caregiver Conferences", and their web site, caregiver.com which includes topic specific newsletters, online discussion lists, back issue articles of Today's Caregiver magazine, chat rooms and an online store. Caregiver Media Group and all of it's products are developed for caregivers, about caregivers and by caregivers. The CleanSpace System - developed by Basement Systems, the world leader in dry basement and crawl space technology.